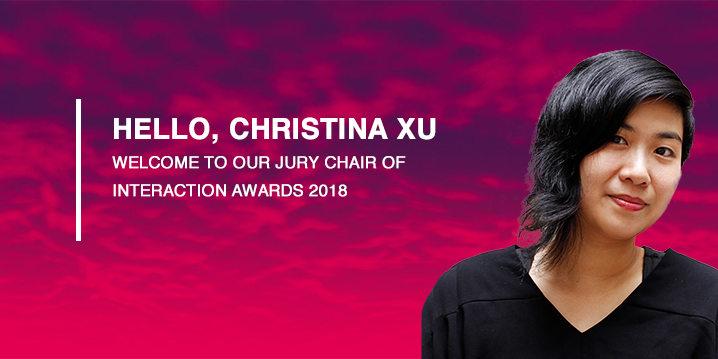 Please join us in welcoming Christina Xu, the chair of the 2018 Interaction Awards Jury. 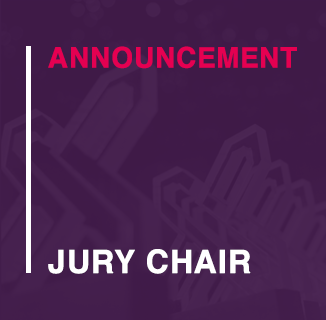 Her unique ability to unpack social interactions around technology, identify cultural trends, and her ethnographic approach, will offer insightful leadership for this years committee. Christina currently runs a research agency, Vernacular Systems. She has conducted exploratory research projects in China and the US for clients including GE, Daimler Chrysler, Spotify, and Quip. Her public work on China is collected as Multi Entry, a multimedia exploration of life in contemporary China. As faculty at the School of Visual Arts’ MFA in Interaction Design program, she teaches a class called Entrepreneurial Design with Gary Chou. She is also an advisor to Data & Society, Orbital, and the Fine Chocolate and Cacao Institute. Christina’s understanding of communities is informed by her experiences of helping to grow some unusual ones, including: Letters for Black Lives, a set of collaboratively written and translated resources for facilitating conversations around social justice; the Awesome Foundation, a decentralized, global network of guerilla philanthropists; and ROFLCon, a conference/convention about internet culture that ran from 2008–2012. Her work has been profiled in BBC Worldwide, the Washington Post, NYT Magazine, the Atlantic, and Paper Magazine. She holds an A.B. in History of Science from Harvard College.